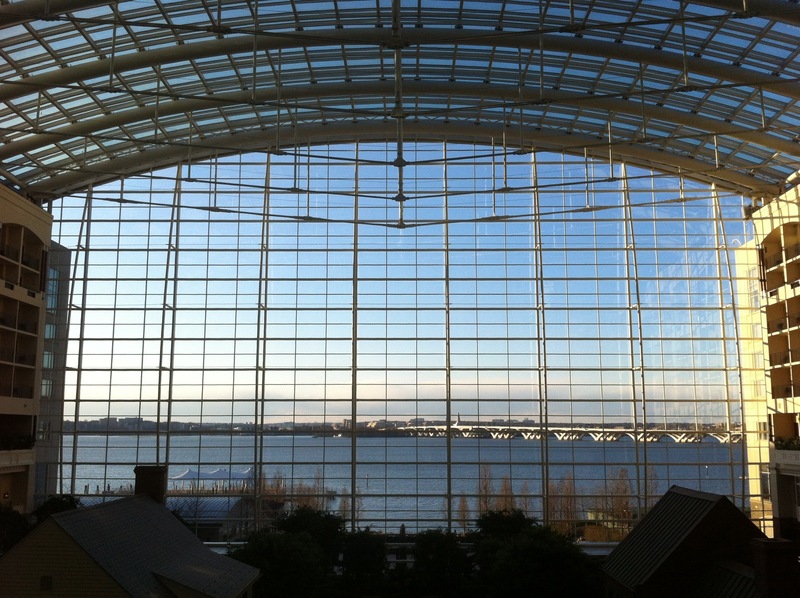 This photo was taken inside the Gaylord Conference Center at the National Harbor. This is the view right above the restaurants. The sun was setting right outside so I Snapped the photo!